Cradling an 80-pound Alaskan husky like a baby, an impassioned Fernando Ramirez traces his intense bond with his dogs back to his childhood. When he was an eight-year-old in Park City, Utah, he desperately wanted to take up dog sledding. His mother, who grew up on a farm in Mexico breaking horses and taking in stray dogs, agreed under one condition: He must use rescue dogs. Twenty years later, when Fernando decided to step away from pursuing a career in physical therapy and marathon racing to follow his passion for dog sledding, he turned to his old pals: the rescues. 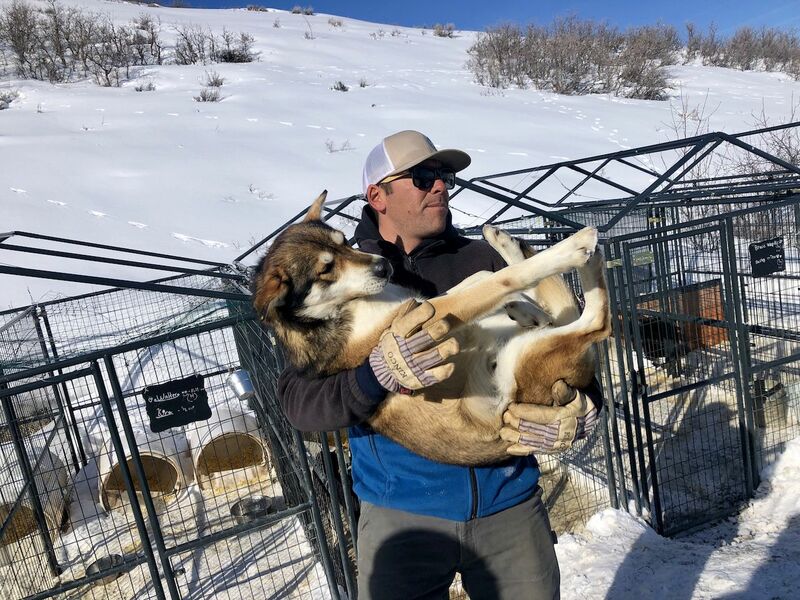 Zoe, Nutella, Skunk, Fox, Cheppy, Nickel, and Sox are just some of the 54 dogs that currently reside at Ranchos Luna Lobos in Park City, Utah, a family-owned and operated dog-sledding company. Spanning breeds from huskies, greyhounds, and shorthair pointers to malamutes and wolf mixes, all have a trace of a northern breed. Some rescues, like Arctic, a three-time Iditarod winner, arrive to the ranch healthy and ready to be part of the team. Others are mere skin and bones, victims of malnourishment and mistreatment. Regardless of their state, the moment a dog is brought onto the Luna Lobos property, it is treated as part of the family. In a sport where purebred bloodlines are carefully cultivated and breeding reigns supreme, the Luna Lobos team is a bit of a Bad News Bears crew. The hodgepodge of breeds means varying degrees of stamina, endurance, and recovery capabilities. Add to that managing the individual personalities and quirks of each dog, and putting together a race team becomes a lot like assembling a jigsaw puzzle. Fernando thrives on this challenge and spends his days trying to understand and bond with each dog individually. His hard work paid off. 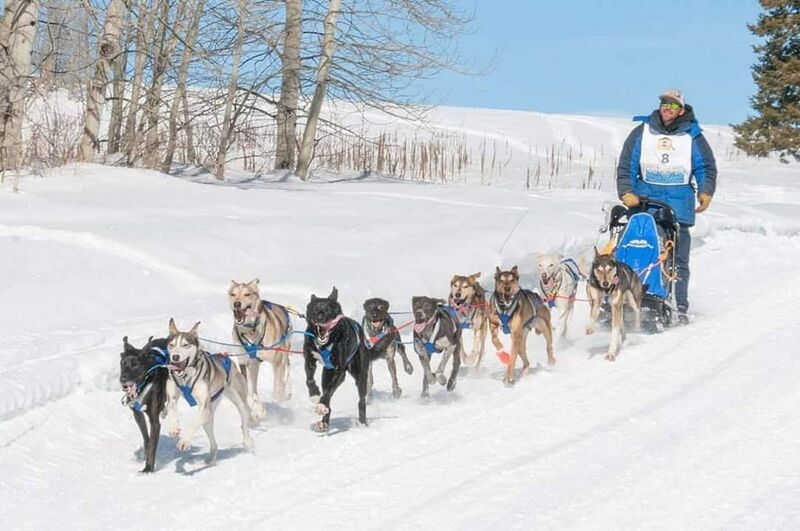 At the 2019 Pedigree Stage Stop Challenge in Wyoming, he was able to cobble together a team that placed an impressive 17th out of 26 of the most elite mushers in the world. Take Gypsy, for example, a purebred Siberian Husky who was three body widths overweight and barely able to walk around the ranch when she arrived. It took many months of a strict diet and gradual increases in exercise get her back to a healthy weight. But despite her Siberian Husky roots and new, svelte figure, Gypsy quickly made her disinterest in running known. When she was hooked up to the line she would promptly take a seat, flat out refusing to run and stopping the sledding team in their tracks. Fortunately, the Ramirez family was able to find Gypsy the career, and human companion, of her dreams. She now lives an exciting life posing for pictures alongside her model owner. On the flip side, there are unexpected naturals like Humberto. Humberto came to Luna Lobos painfully skittish, clumsily tripping over anything in his path. The mystery behind his unwieldy ways was quickly solved by the family vet who confirmed that Humberto was born 100 percent blind in both eyes. It took an entire winter season before Humberto began to feel safe enough to allow himself to be teamed up with a buddy and led around the play yard. Eventually, this progressed to being buddied up on the line for tours. Just one year later, Humberto showed such love and skill for racing he became a lead dog. Humberto and his sledding buddies work hard at what they do. In the winter, the conditioning process involves giving dog-sledding tours to guests, covering about 10 miles each day. A more select group of dogs comprise the racing team and train 30-35 miles per day in preparation for major races like the Pedigree Stage Stop Challenge. In the summer, the furry athletes, as Ramirez refers to them, give land “safari” tours and swim at the local reservoir to stay in shape. They also get in plenty of free time playing with the four Ramirez children, as well as those who attend the various camps and junior dog-sledding activities that run throughout the year. In order to get sled dogs that are in racing condition, many of the top mushers will purchase or lease dogs from breeders. These dogs come from proven purebred bloodlines that are naturally athletic, work well in a pack, and are built for Arctic racing conditions with ample fur and durable feet. Price tags for these dogs start at hundreds of dollars and can exceed $20,000 for a season-long team lease. 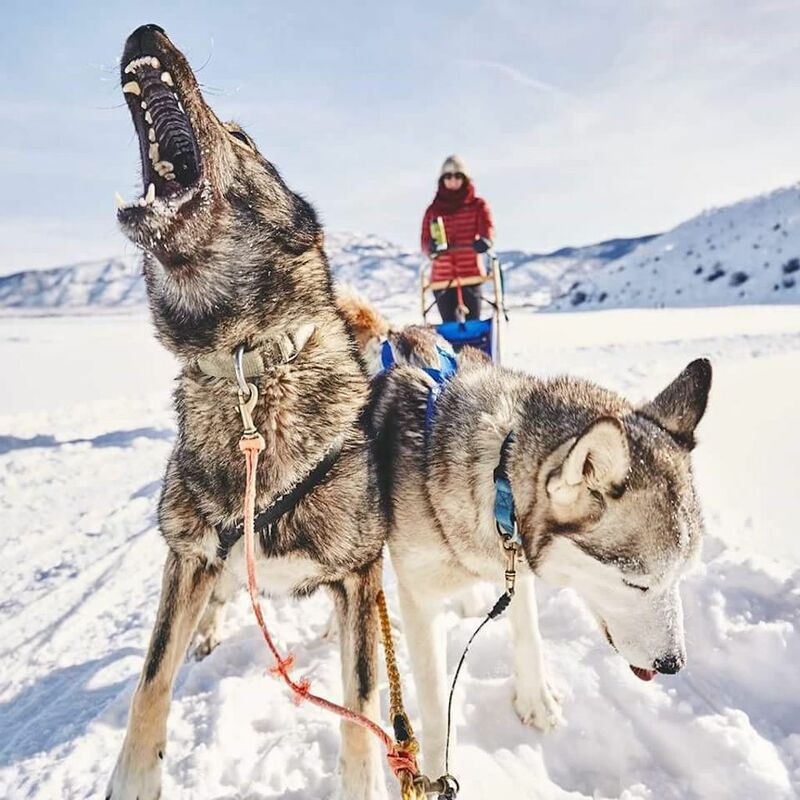 By using rescues for their sled team the Ramirez family is not only taking on the challenge of endurance and team training but also rehabbing the rescues and coaching them individually to become sled dogs. They are willing to do the extra work because they believe there is no price tag that can be put on saving the life of a dog. The Ramirez family’s passion for their canine kin is evident from the moment they greet you at Luna Lobos. Visitors travel along a path that was hand dug by Fernando and Dana — a three-year labor of love — towards a symphony of barking and frantically waving tails. In addition to being introduced to the dogs individually, guests are able to learn about what it takes to care for them, including the intense 16-hour days, monthly visits from the vet, and 6,000 pounds of food that only lasts six weeks. Dog sledding conjures up visions of gliding over snow-covered hills, looking out over the seemingly untouched mountain range, feeling the rush of crisp mountain air — and Luna Lobos delivers. What is unexpected is the emotional experience of witnessing firsthand the power of the bond between man and dog. “I see my dogs as an extension of me and they can feel that,” Fernando shared. 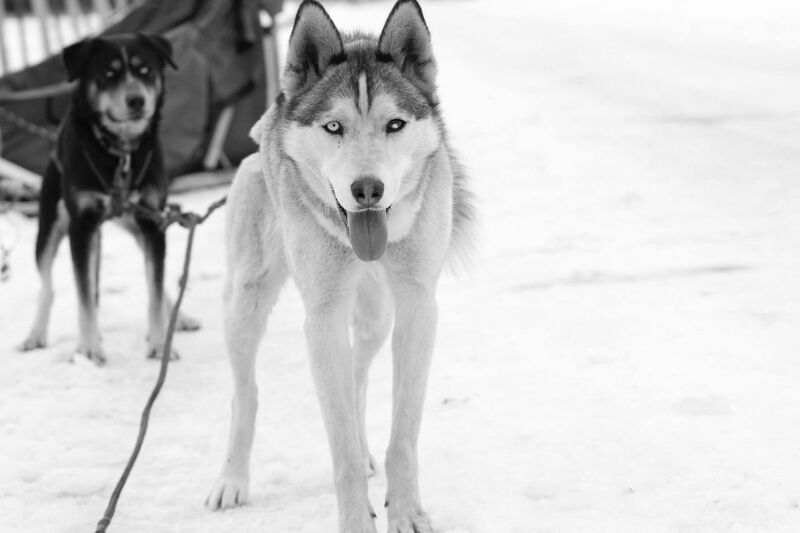 “There have been times out on the trail where we’ve lost our sleds and certain dogs just know and they stop and look back as if to say, ‘“No one gets left behind on our team.’” It’s almost as if even the dogs know the family mantra.